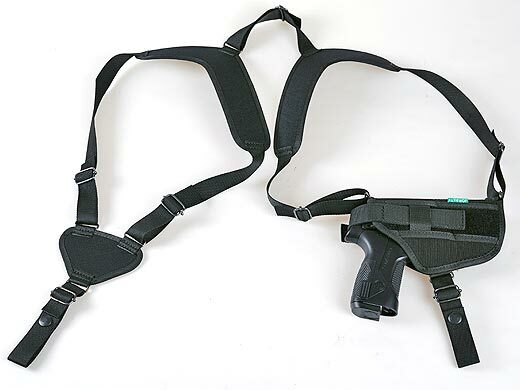 Joralti Ltd. produces shoulder holsters for pistols and revolvers - both leather and textile made. Joralti holsters are suitable for Makarov, Beretta, Arcus, TT, Glok, CZ, PSM, HK, USP Compact, Sig, Stayer and Viking. The product range includes other hunting and weapon accessories as well. All our products are made using high quality materials from leading Bulgarian and international producers - Cordura, leather and plastic facings. Material: Cordura Suitable for Makarov and other pistols similar by size. Material: Cordura Suitable for Glock 17 L, revolvers with barrel length of 5 and 6 inches, Stechkin and others.